Although the healthy benefits of dark chocolate have been highlighted before, this is believed to be one of the first studies to show it can have such a rapid effect in preventing illness. The research raises the possibility that chocolate could help some patients boost their health without the need for prescription drugs. Italian and US researchers who carried out the study deliberately chose a small group of patients who already had problems with blood pressure and the early stages of diabetes. But they stressed only dark chocolate is good for the heart. Milk chocolate, which is more popular in Britain, does not contain the same quantities of disease-busting ingredients. Heart disease is Britain's biggest killer, claiming the lives of one in five men and one in six women. In recent years scientists have discovered certain plant-based foods and drinks such as fruits, vegetables, red wine tea and cocoa can protect the heart against disease. This is because they are all rich in natural ingredients call flavanols, a type of chemical found in plants. Cocoa beans, the main ingredient for chocolate, contain relatively high levels of flavanols. Researchers were attracted to cocoa's potential benefits in the war against heart disease by the healthy status of the Kuna Indian tribe of the San Blas islands, near Panama. The population there has remarkably low levels of artery disease, diabetes or high blood pressure. Even as they age, their blood pressure barely changes, unlike populations in more developed countries, where it tends to rise as we get older. It's thought high consumption of cocoa is one of the key factors. Other recent studies have found dark chocolate can protect blood vessels against damage from diabetes and could even hold the key to stopping bowel cancer in its tracks. Volunteers included 11 men and eight women who already had high blood pressure and a condition called insulin resistance an early warning sign for type two diabetes. Half the group were then given 100 grammes of dark chocolate over 15 days, averaging just over six grammes a day. The other half were given the same amount of white chocolate, which contained more fat and sugar and no flavanols at all. After the first stage of the experiment was over, the two groups swapped over to the other type of chocolate to see how they reacted. The results, published in the latest Journal of Nutrition, showed dark chocolate triggered significant falls in blood pressure but the white chocolate had no effect. High blood pressure is anything above 140mmHg/85mmHg. Those on the dark chocolate diet saw their average readings drop from 142/90mmHg to 137/87mmHg in just two weeks, a significant decline. White chocolate made no difference at all. One reason flavanols in cocoa work is by increasing production of nitric oxide, which helps relax artery walls and lets blood flow more freely. 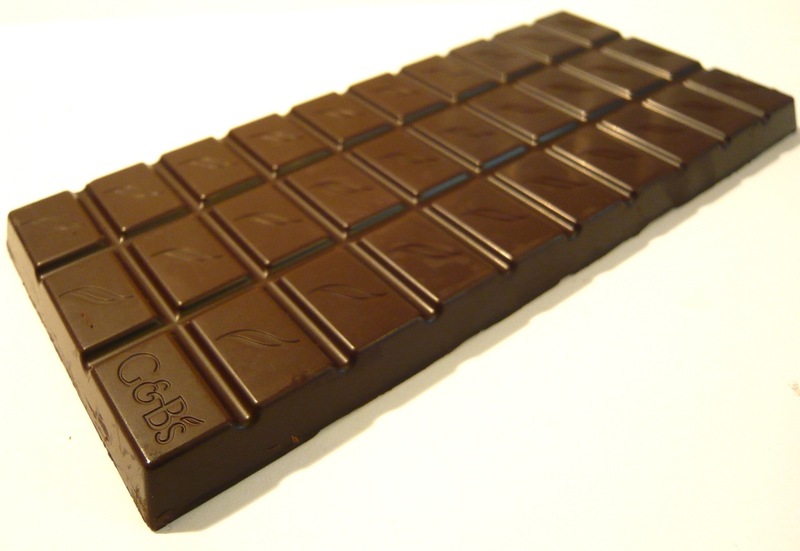 The dark chocolate also reduced the level of insulin resistance. This means the body's cells start to make better use of insulin that is circulating in the blood, rather than let it build up and raise the risk of heart disease. In a report on their findings, researchers from the University of L'Aquila in Italy and Tufts University, in Boston, USA, said food and drinks manufacturers should look at developing a range of healthy cocoa-based products to help fight heart disease. 'Our findings suggest flavanol-rich, low-energy cocoa food products may have a positive impact on cardiovascular risk factors,' they said. Confectionery firms have already started to cash in on chocolate's healthy image. Two years ago Cadbury Schweppes relaunched its Bourneville brand to focus on the surge in demand for healthy dark chocolate. Some high street retailers report sales of dark chocolate have doubled in recent years as sweet-toothed consumers hope to use their favourite treat to help them live longer.